World Horse Welfare is disappointed European agriculture ministers have stopped short of seeking an urgent review of the controversial Transport Regulation, despite it being out of step with scientific opinion. The British-based charity says horses will continue to endure horrific and needless long-distance journeys across Europe to slaughter as a result. The agriculture ministers unanimously agreed their support of a new animal welfare strategy, but did not request an urgent review. “We call on the Commission to immediately introduce a short, maximum journey limit for horses in line with scientific opinion,” World Horse Welfare chief executive Roly Owers said. “The Commission knows this is right. The EU Parliament knows this is right. The Member States that called for change, including the UK, Sweden and others, know that it’s right. And the more than one million EU citizens who signed a petition calling for a short limit on all animal journeys to slaughter know this is right. There is simply no excuse not to make changes for horses. “We applaud the council for showing a commitment to better animal welfare, but we are deeply disappointed that they chose not to seek a review of the laws governing transportation to slaughter under which around 65,000 horses needlessly suffer each year. On Tuesday, the council voted in support of the European Commission’s strategy on the protection and welfare of animals for the next three years, and encouraged the commission to do more for animal welfare. This included citing the important link between animal health and welfare, and the need to promote high welfare food products within Europe. However the council did not request an immediate review of the Transport Regulation, despite the Commission itself admitting that ‘severe animal welfare problems persist’ under the Regulation and that the law is not line with current scientific knowledge. Instead, member states encouraged the European Commission to develop guides to good practice which could include a maximum journey limit, but this is unlikely to be legally binding and therefore ineffective. World Horse Welfare has been campaigning for changes to Transport Regulation EC 1/2005, and particularly the introduction of a short, maximum journey limit of 9 to 12 hours for all horses transported to slaughter or further fattening. 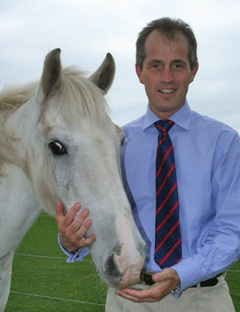 The charity has also cited the risk of disease spread from this trade which was the source in 2010 of the first outbreak of equine infectious anaemia in Britain for more than three decades.